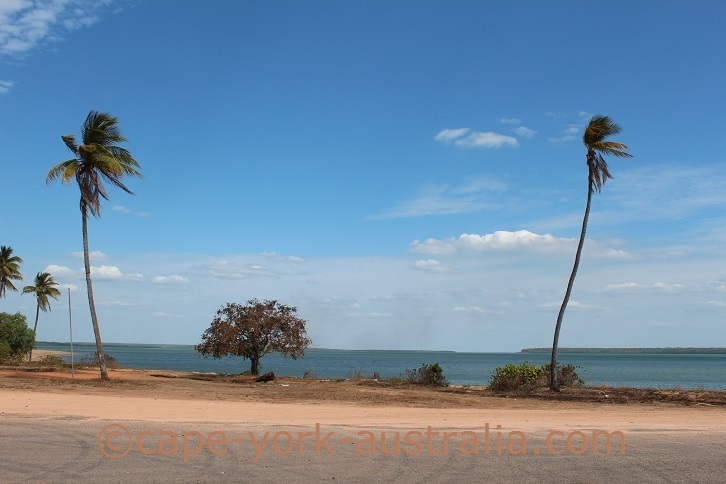 So what is there to do south of Weipa? Nowadays - not a lot. There used to be some nice camping, but the mines have closed it off. 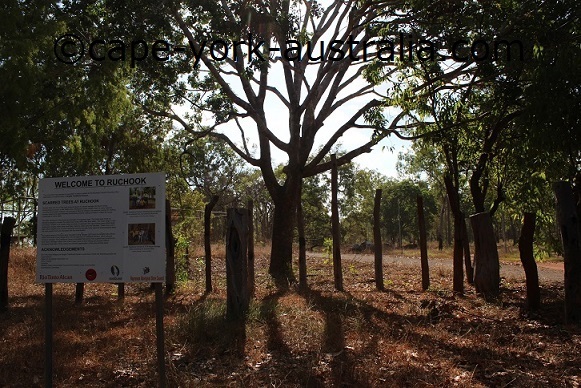 A lot of the rest of the land is Aboriginal, so again permits are needed and restrictions apply. An exception to that is Merluna Station, where you can stay. 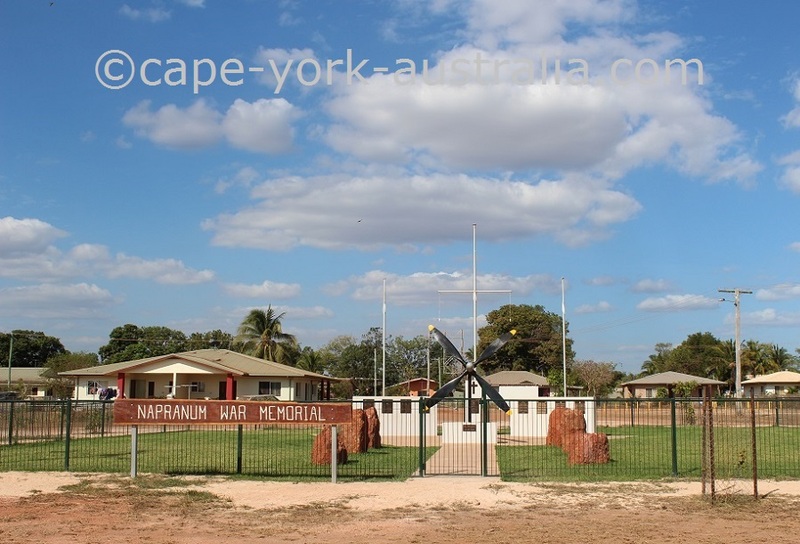 Right south of Weipa - so close it's also called Weipa South - is the Aboriginal community of Napranum. Easy access, sealed road, just leave your grog in town. There is a nice beach, a supermarket, a war monument and the so called Scarred Trees. 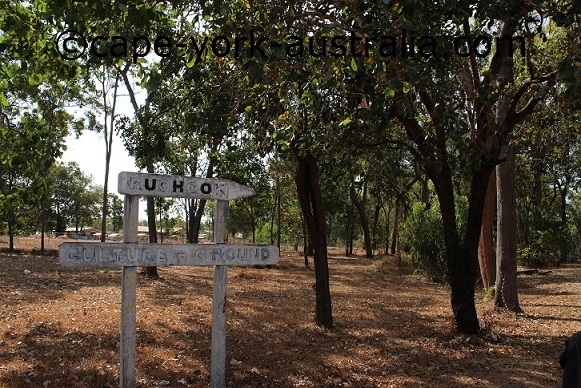 A lot further south of Weipa is another Aboriginal community, Aurukun. 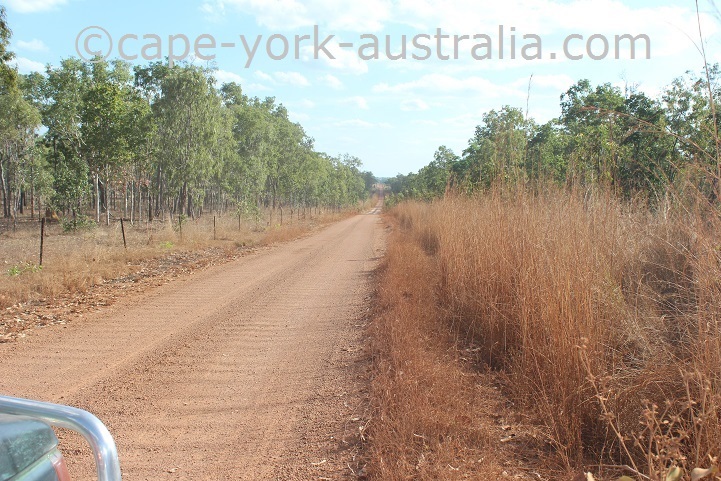 The road is not sealed, and the access is not easy - considering the strict permits you need, and on top of that there is nothing for travellers. 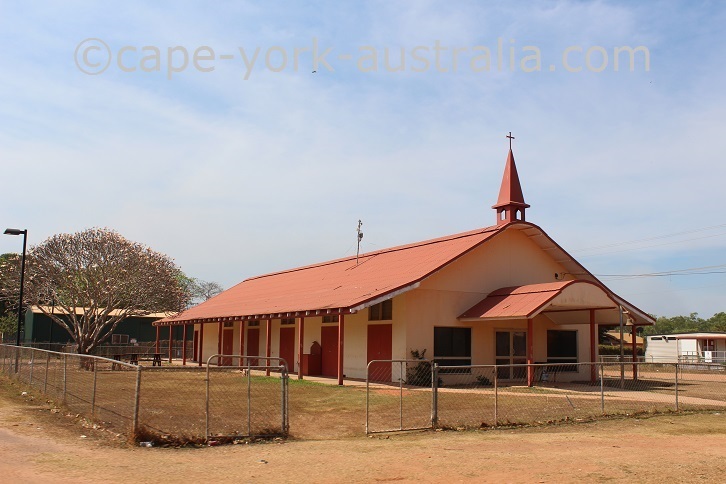 Basically, it's not worth your time, if you are just a Cape York traveller. 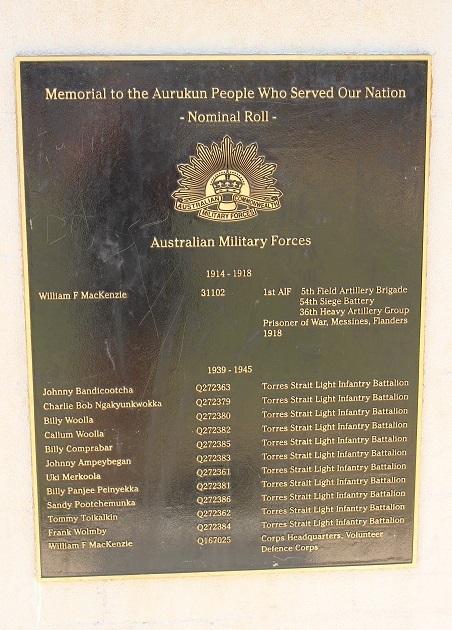 There used to be a reason to go, at least a good bit into the road to Aurukun. 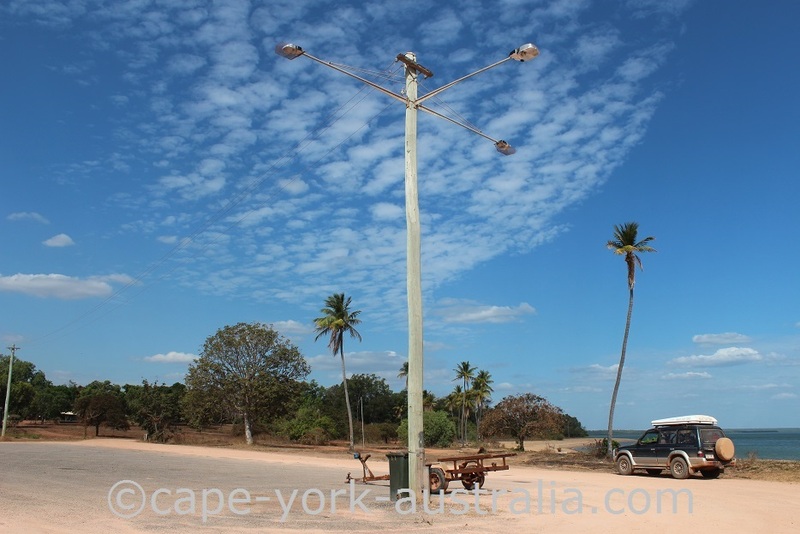 That was when the coastal camping spots were still open north of Aurukun. 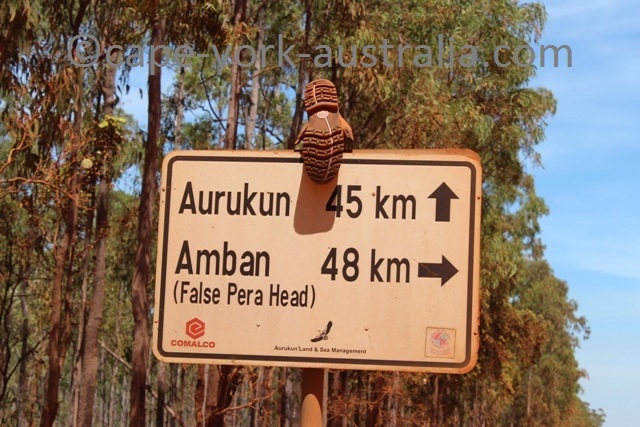 They were Pera Head, False Pera Head and Amban, but no mining lasts forever, so one day we can hope to get them back. 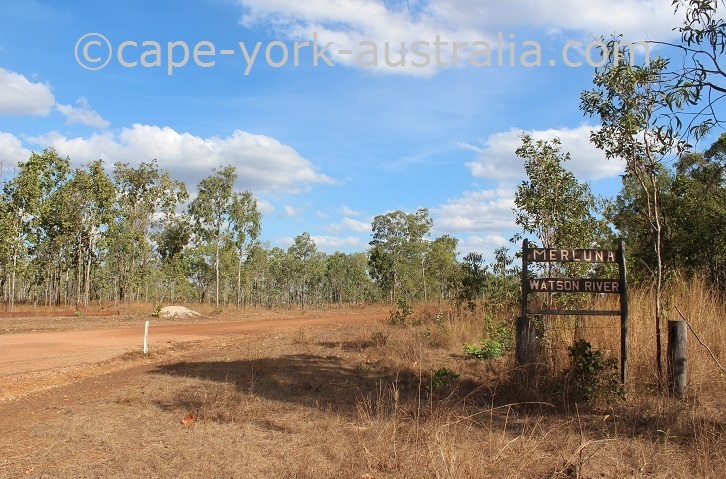 And the third type of land south of Weipa is private - as you can see from the signs of Merluna Station. 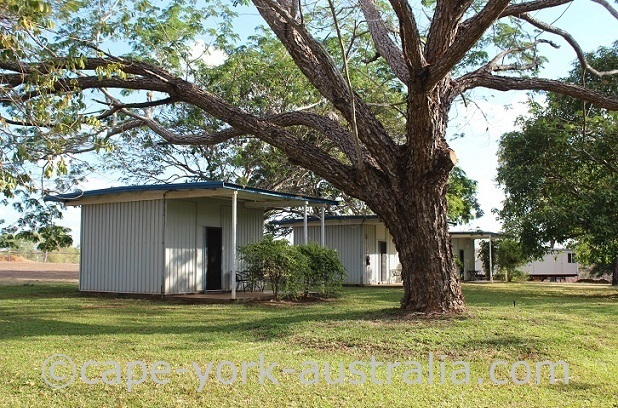 While their station covers a large area (as they all do up this way), they do have a camping ground about 50km from the Peninsula Developmental Road south of Weipa, where you can stay. 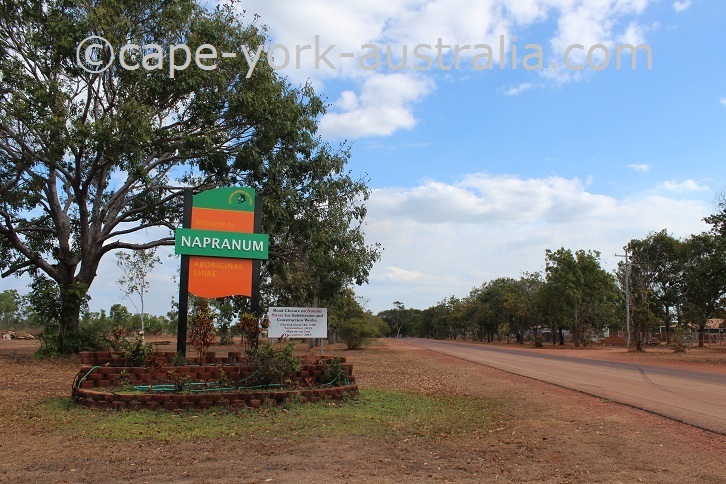 Napranum is an Aboriginal community just south of Weipa. It is easy to reach and the road is sealed. 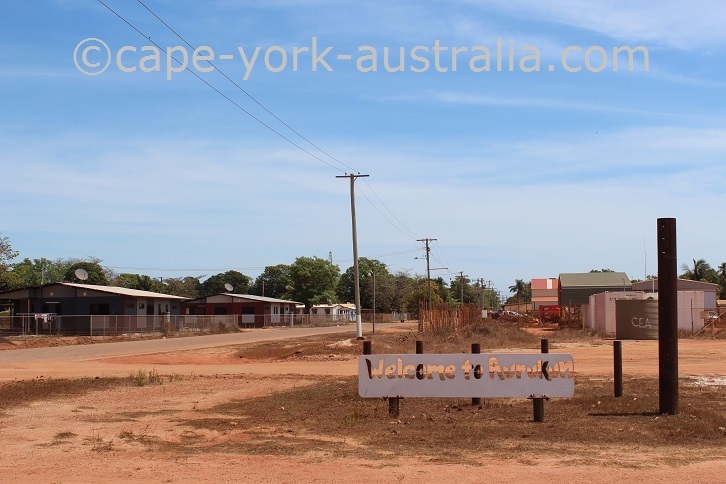 There is not a lot for travellers, but it is a nice beach community and visitors are welcome to check it out. If you are here on a sunny day, the beach is beautiful. 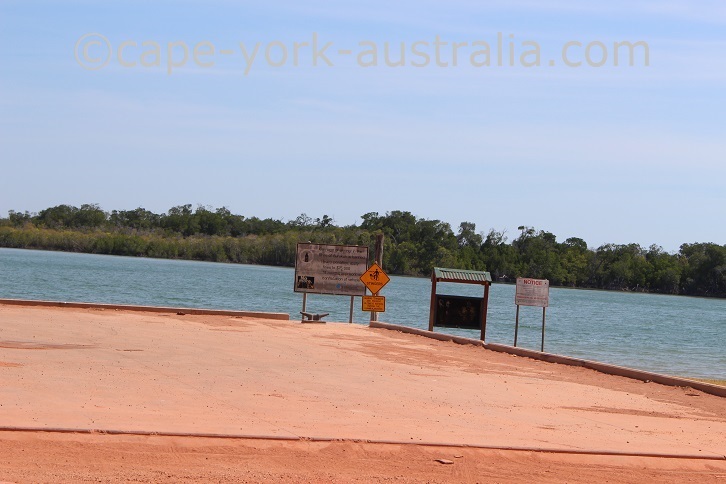 There is also a boat ramp, always a place to try fishing. 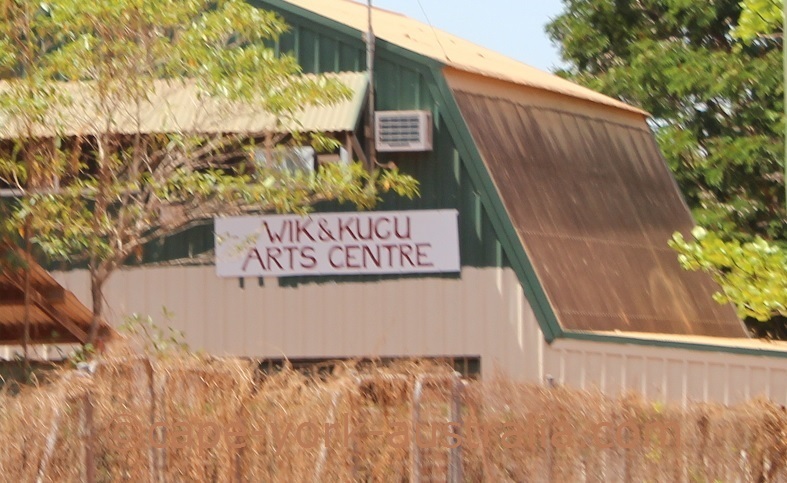 ... and there is the Ruckhook Cultural Ground. 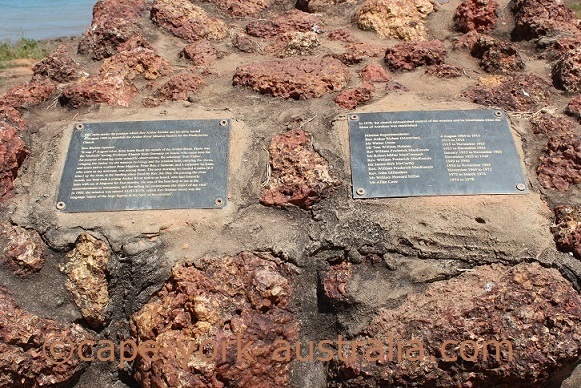 An interesting thing here is the historical scarred trees - with holes made to collect honey of native bees. 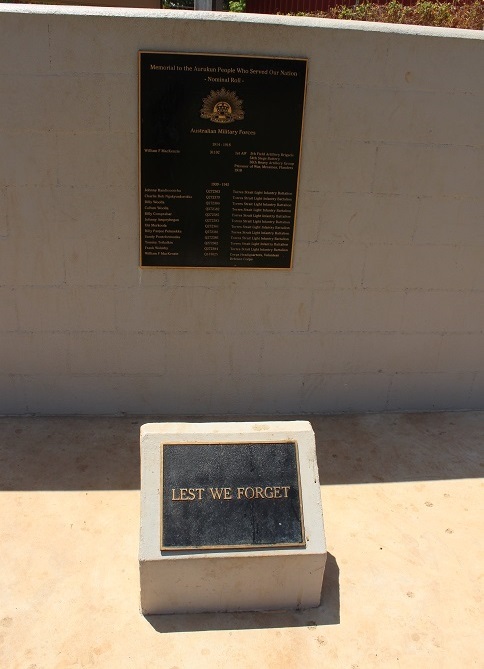 They have been moved here from Weipa, from an area that now is mined, and will be moved back one day when the mining is over. 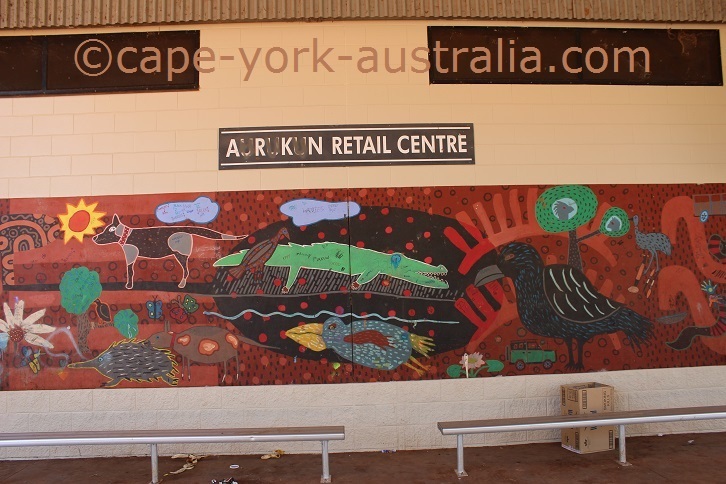 There is now (2014) even a new supermarket in Napranum, so you can enjoy a picnic lunch on the beach. 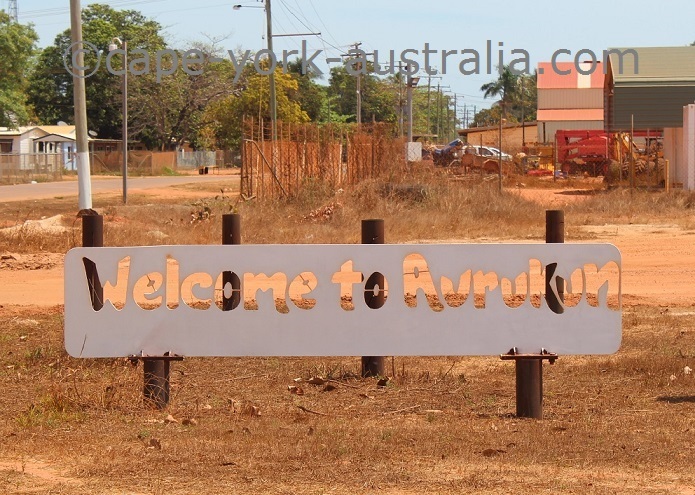 Aurukun is an Aboriginal community on the west coast. 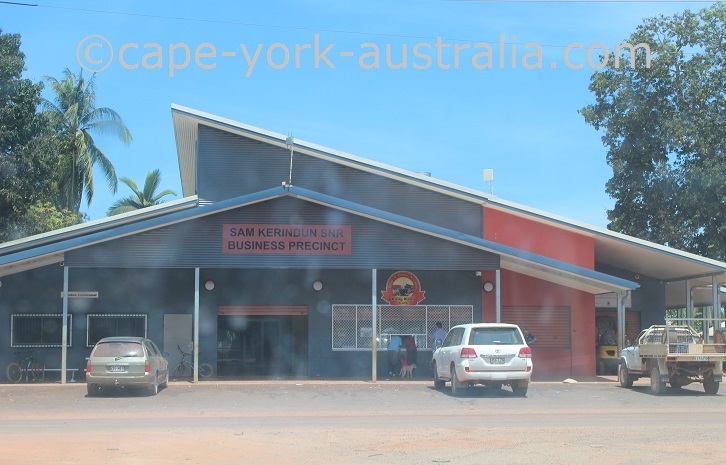 It is one of the remotest of all Cape York communities, hundreds of kilometres from the closest town, Weipa. It is also the strictest community with permissions, and despite that you'll see there is nothing much for travellers in this community. 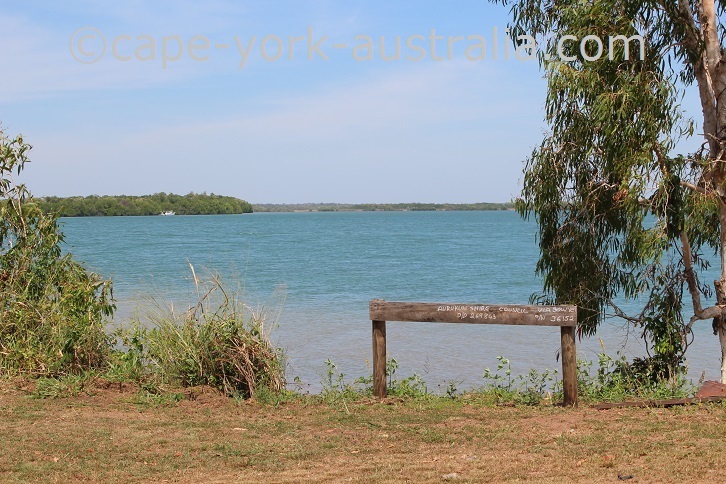 ... and its boat ramp is where locals go fishing. ... but you will see that there is not a lot for travellers. 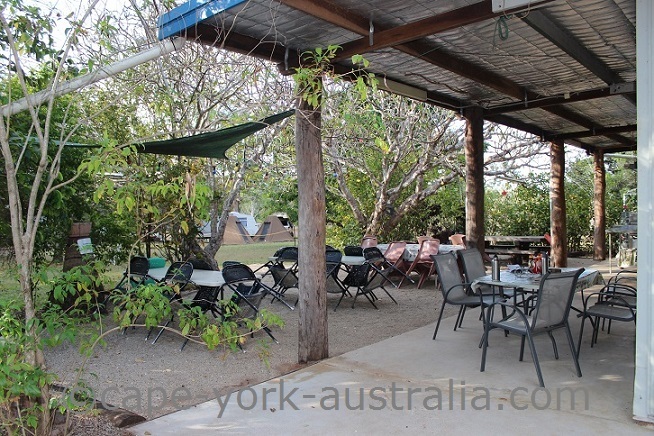 Merluna Station is a nice place to stay south of Weipa. 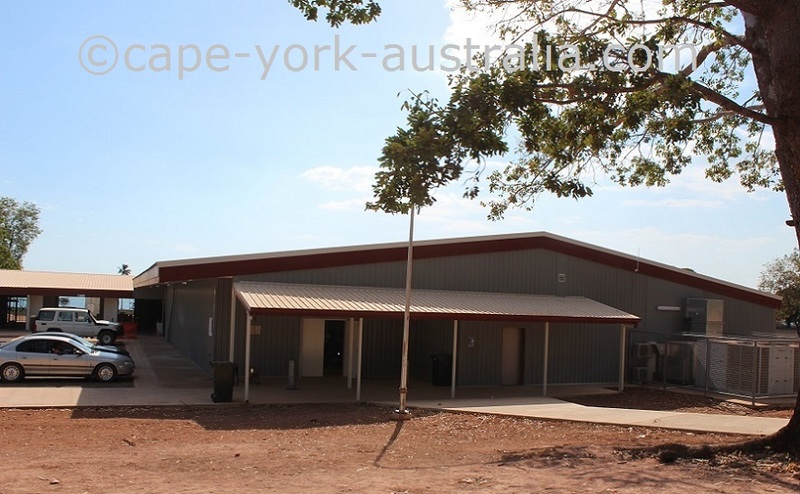 It is in central Cape York, along the Peninsula Developmental Road on the way to Weipa. 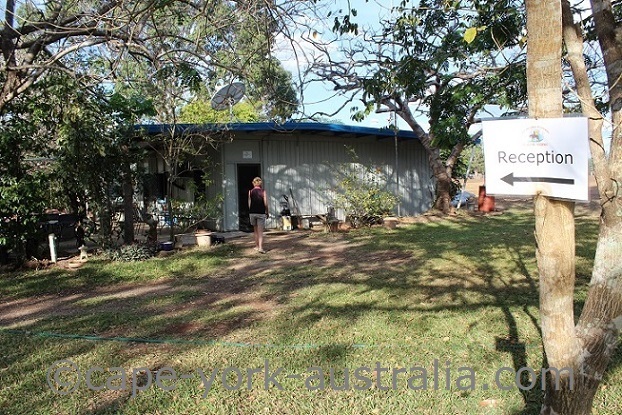 And it is the only place to stay in this area, until you actually get to Weipa. 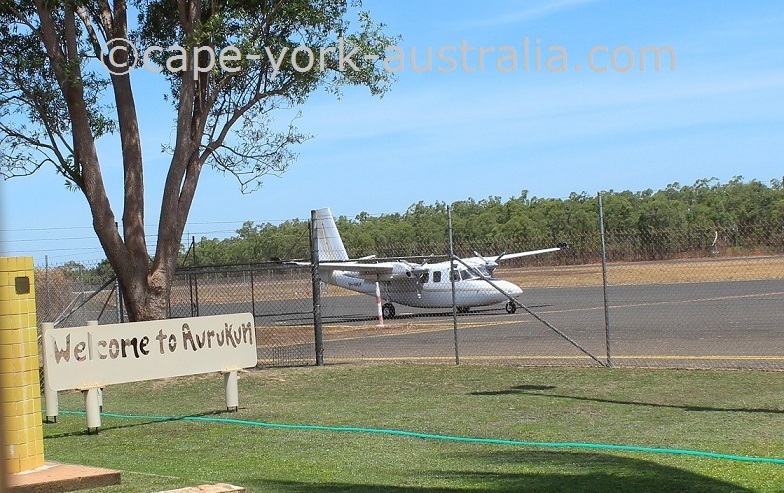 The turnoff is south of the turnoff to Aurukun. ... and the owners are friendly and welcoming. 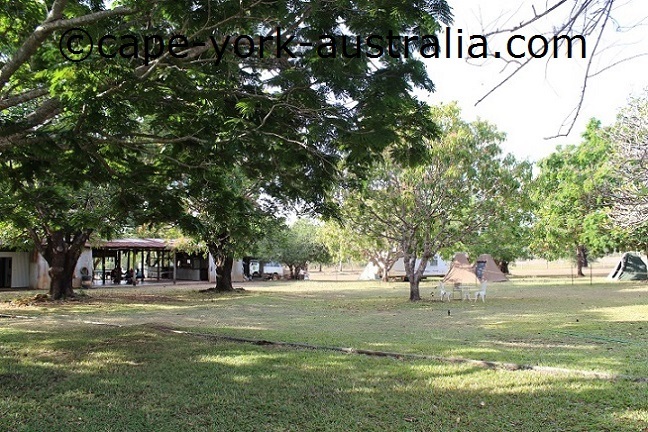 ... as well as a camping round at Merluna Station. There is also a swimming pool, and meals can be ordered. 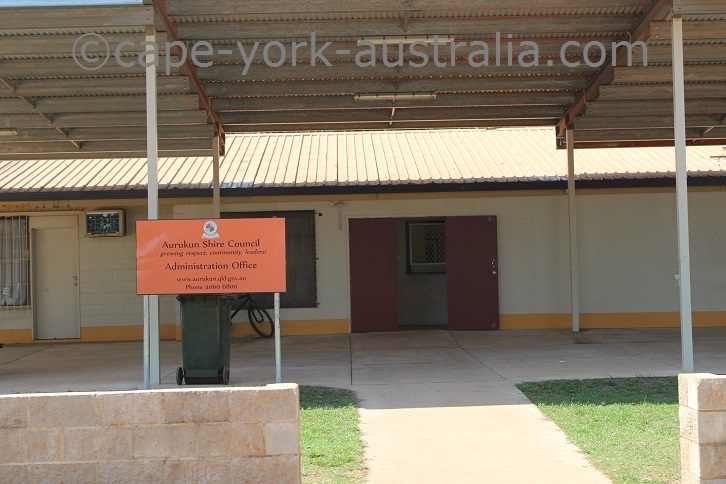 Merluna is a working cattle station and they also put on a few activities for those interested, amongst others they have station pet and cattle activities, as well as bow hunting packages.